Get ready as Haunted Rooms America brings Texas an event you will be talking about for a long, long time! We are excited to bring you a night of ghost hunting aboard the USS Battleship Texas! No other group has offered members of the public a chance to investigate this historic ship, so you will be the very first! Not only will you have exclusive access to this monster of a venue for a night of paranormal investigation, but you’ll also have the chance to sleep in the same racks the sailors did during two World Wars!! In its heyday, the Battleship Texas played roles in World War I and World War II. After retiring from service the Battleship Texas ended up moored east of Houston near the San Jacinto Battlefield. If the location near a former battlefield and being part of both World Wars does not give the Battleship a creepy factor assorted inexplicable activities do. People have seen anomalies that appear to be nothing more than vapor, while other individuals have heard unusual whispering and chattering around the vessel. People have also reported seeing a red-headed sailor in a white sailor’s suit about the ship. He is most often seen on the different decks. Sometimes the ghost is spotted with a smile on his face while standing in close proximity to a ladder. Battleship Texas is the last remaining battleship that participated in both World War I and World War II. Over her service life, the Navy repeatedly outfitted the ship with cutting edge technology. The U.S. Navy com­mis­sioned USS Texas on March 12, 1914. She was the most powerful weapon in the world, a complex product of an industrial nation emerging as a force in global events. In 1916, USS Texas became the first U.S. battleship to mount anti-aircraft guns. She was also the first to control gunfire with directors and range-keepers. These early computers increased firing accuracy. In 1925, the Navy opted to modernize USS Texas instead of scrapping her. This meant con­vert­ing the ship to run on fuel oil instead of coal. Tripod masts and a single stack replaced the ship’s cage masts and two smoke stacks. Torpedo blisters added another layer of protection to the ship’s waterline. Captain Baker and Admiral Bryan pose with the unexploded German shell (TPWD-Battleship Texas Archives). Fate spared the battleship again when Japanese forces bombed Pearl Harbor on Dec. 7, 1941: She was safe in Maine. The United States entered World War II soon after. During the war, USS Texas fired on Nazi defenses in Normandy on D-Day, June 6, 1944. Shortly afterward, German coastal defense artillery near Cherbourg hit the ship twice. The first shell exploded, injuring 12 and killing one. This was the only combat fatality ever aboard USS Texas. The second shell hit the ship, but did not explode. The Navy deactivated this “lucky shell” and returned it to the ship as a good luck charm. After repairs, the battleship shelled Nazi positions in Southern France before transferring to the Pacific. There she lent gunfire support and anti-aircraft fire to the landings on Iwo Jima and Okinawa. Tugboats bring the battleship to her final resting place in 1948 (TPWD-Battleship Texas Archives). When she completed her final mission, the state of Texas acquired the ship. 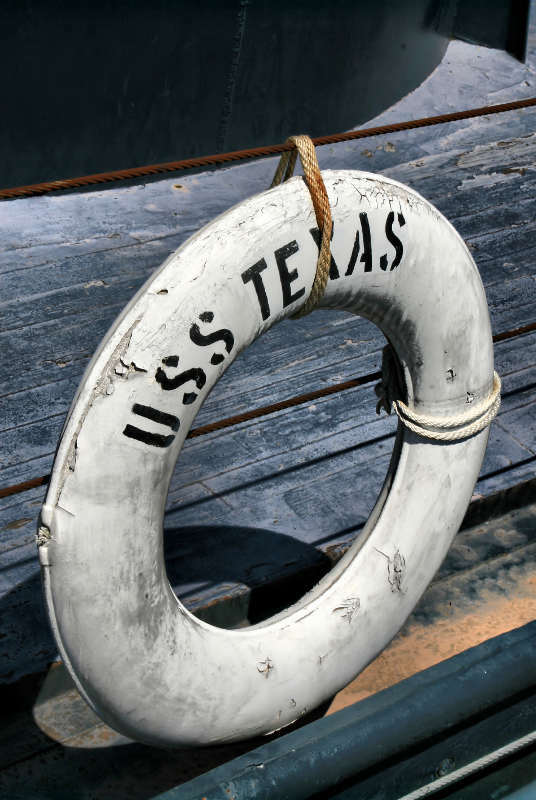 On April 21, 1948, Battleship Texas was decom­missioned and became a memorial ship. Today, Battleship Texas is a floating museum and the last remaining U.S. battleship of her kind. She stands as a memorial to the bravery and sacrifice of the servicemen who fought in both world wars. The battleship is both a National Historic Landmark and a National Mechanical Engineering Landmark. Accommodation (sleep in the very racks the sailors did during two World Wars). Breakfast included (choice from the McDonald’s menu). 6:45pm – Guests will arrive and check in with their assigned team. 7:30pm – You will be taken on a hybrid history and paranormal tour of the ship. 9:00pm – Meet up in the dreadnaught room to view a documentary video about the ship (snacks and drinks will be provided during this time). 9:30pm – Brief paranormal 101. 10:00pm – You will start your night of ghost hunting with the team.